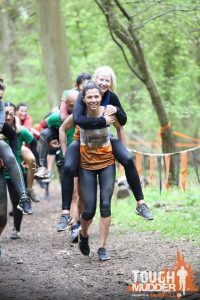 Are you looking for a truly grueling team fundraising challenge? Minimum Sponsorship Target: You decide. A brutal set of obstacles awaits you as you take on the 12 mile mud-fest of a course. And if you're feeling super motivated, you can always take it on as a solo entrant! How do I join #teambrainandspine ?